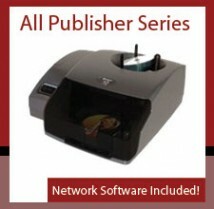 permanently extend its Free Network Software program and give the ability to share Microboards Disc Publishers on a network without any additional charge. The change is made possible because market response to PrintWrite 2 has been positive. “We are seeing utilization in many types of organizations, from police departments to manufacturing facilities. In fact, our largest segment of users is once again ministry, and churches across the country are successfully sharing Microboards Publishers across departments and functions,” says Westrum. Qualified existing users can purchase the software for $299 by contacting technical support at support@microboards.com. Supported operating systems include Windows XP (32-bit only), Windows Vista, and Windows 7 (32-bit and 64-bit).